Before I start, let me first wish you and all Treonauts a Very Happy New Year!!! I hope that you enjoyed your holidays and are now looking forward to what promises to be an extremely exciting 2009 in the smartphone space. After my first long holiday break in nearly five years, I just arrived full of energy and anticipation in Las Vegas to attend the Palm CES press event which will take place tomorrow Thursday, January 8th at 11am PST (2pm EST) at the Venetian Hotel – an event which may very well turn out to be one of the most important consumer electronics announcements of the year. As previously reported, Palm will use this event as a platform to unveil both its new NOVA operating system as well the first generation of smartphone(s) – possibly named Quatro – that it will power (see Palm’s CES Event Expectations for more details). Aside from rumours pointing out that NOVA is “amazing” the actual details of Palm’s next-generation operating system have remained Top Secret and we’ll have to wait until tomorrow to uncover all the details. Insofar as the new Palm Quatro smartphones is concerned, the rumours continue to point to a “stunning” device offering a new (some claim completely unique) design that combines both a full face touchscreen + a slide-out keyboard (thus bringing the best of the iPhone + BlackBerry worlds together). This Monday CrunchGear actually claimed to have received information from a trusted source that suggests the Quatro will have “a full QWERTY keyboard that slides _down_ under a portrait-oriented [square or rectangular] touchscreen”. At the same time, given the huge number of people that are likely to flock to its website after the announcement tomorrow, Palm yesterday already unveiled a completely revamped website that now looks and feels much more professional and grown-up than before – clearly Palm wants to ensure that it is able to capture people’s attention and imagination with a completely new look. As many have pointed out, a lot is riding on the success of Palm’s CES event tomorrow and I can’t wait to see what the company has in store for us. Either way I can pretty much guarantee that the next couple of days are going to be extremely exciting and I will naturally be reporting all about it… See you tomorrow morning! awesome =] lets hope! i switched to ipod touch but still... cant wait! 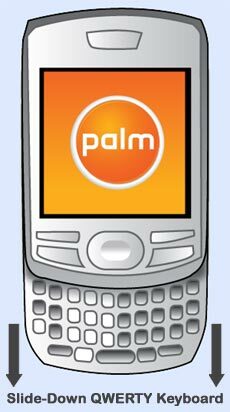 I'm wondering, did Palm changed their logo again? When I too a look at the revamped website, I noticed the orange disc has been "dropped". Yeah, this is hurting. I can't wait! The "revamped page" seems to be all about the Windows Mobile Treo Pro. What about Palm OS? Has it been banished or what?? Since Palm has not officially released NOVA(new Palm OS), they are not about to put it up on their web page. They may be planning to put it up the moment the official debut is over at CES 2009. I sure hope they do change their logo. I'm really sick and tired of staring at the big orange blob while my treo resets itself for the 5th time that day. Seriously though, any idea if Nova will be able to handle all the Palm OS apps I currently have? Just hoping that this is not going to end up like the Folio fiasco. im kind of confused. where can I go to actually SEE this event? is there gonna be video? audio? any kind of streaming? or just blog entries? neither treocentral or treonauts have any clear links anywhere pointing to any of this stuff. Check out Engadget's page. You have to refresh it every few minutes, but it just has one guy (maybe 2 or so) posting updates. Treo Central seems to be a bunch of people posting along with it....could get annoying. I wasn't even this excited about MacWorld, and I'm not even able to upgrade my cell for another year! C'mon, the keynote should have begun. Unveil it already! Here's another live coverage by SlashGear!! SlashGear will be doing a hands on test/interview at 3:30PM PST on their live blog. So check back at that time today! Go Palm! While I'm happy for Sprint/EVDO owners, what about GSM? If it was GSM, I would be in line to pre-order one. Kinda disappointing like being given a Lotus and told you can't drive it because it doesn't work on the roads that you subscribe to. GSM should follow at some point, it usually does, once the telcos get their lion's share first. I'm cautiously optimistic. Haven't gotten clarity on whether my Garnet apps will run or if I have to spend money buying it all back. Not overly excited with the HTC-format, but the OS itself appears to be up to scratch. 8GB is a decent upgrade, wi-fi, GPS, removable battery are all on point. As Palm once revolutionized things with Graffiti, so now are the poised to show some leadership with their interpretation of an iPhone-like interface. I'm glad to see they weren't stuck 100% in "copy and catch up mode", but are actually doing something forward-thinking. The kernel, couldn't quite understand if in fact it is a Linux base, but the language that said "hey, if you can write html and CSS, if you can write for the web, you can write for Palm OS, we remember our developer community". That's pretty cool. Their conceptutalization of the "card deck metaphor" that creates a PDA orientation rather than a "scaled down computer paradigm" is, um, interesting. Again, at least they are "trying" to push things forward in a Palm way. All in all, I think the presentation appeared comfortable, like these guys didn't know they'd become the laughing stock of the community, and were in fact still very comfortable with the responsibilities of maintaining a leadership position (it's about time, frankly). The response appeared genuinely interested in the ideas being pushed, rather than polite "nice try, thanks for coming out". The way the removable battery was mentioned, and the applause it got, show they are in tune with one of the major gripes of the iPhone, and clearly reflects Palm's apparent continued connection to the real PDA community's needs. Price point has managed to remain unclear, at least based on my attempts to gather an idea where this thing sits. How will they bring this to an affordable price point? Again, can't wait to actually get one in my hand in Canada, whenever that glad day may come. But, the CES presentation looks like it can be labelled a success - for those of us who've been waiting, there's reason for hope yet. Made it to Vegas in one piece but no tickets to get into CES (my buddy's company bailed out last minute and tickets are now $200). Had to monitor Palm announcement thru Engadget and CNBC from hotel room. Roger McNamee of Elevation Partners was on CNBC earlier showing off the new phone. He first introduced the current technology: Centro, Treo Pro, iPhone, and GPhone. Then he whips out the new Palm Pre. He did a touch sliding action on the screen to unlock the phone. The keyboard also slides out from the bottom. In comparison to the iPhone, it was shorter but slightly thicker. It may have been the same size as the Centro with very nicely rounded edges. He was very excited about, not so much the hardware like most of us would be, but more so on the new OS platform, saying that it is a breakthrough for the next 10 years. The whole interview lasted only a few minutes. Looks like a GSM version will definitely be available sometime after the Sprint version. I'm truly excited again after all these years. The long wait is over and I am glad I held out, as painful as it was. Btw, if anyone has extra tickets to CES, I'd still love to catch what's left. And I would be forever grateful for any help. greghwin at yahoo dot com is my email. Thanks. That quote is stupid. Proves once again that Palm does not have a clue. Based upon your comments above, YOU FAIL.